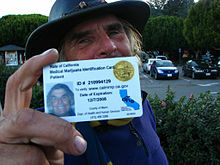 Medical cannabis card in Marin County, California, U.S.A. The proposition was a statewide voter initiative authored by Dennis Peron, Anna Boyce RN, John Entwistle, Jr., Valerie Corral, Dale Gieringer, William Panzer, medical marijuana activist and founder of the L.A. Cannabis Resource Center Scott Tracy Imler, attorney Leo Paoli and psychiatrist Tod H. Mikuriya, and approved by California voters. It allows patients with a valid doctor’s recommendation, and the patients’ designated Primary Caregivers, to possess and cultivate marijuana for personal medical use, and has since been expanded to protect a growing system of collective and cooperative distribution. The Act added Section 11362.5 to the California Health and Safety Code. California Proposition 215 was the first medical marijuana ballot initiative passed at the state level; causing a conflict in the United States between states’ rights advocates and those who support a stronger federal presence. Proposition 215 was conceived by San Francisco marijuana activist Dennis Peron in memory of his partner, Jonathan West, who had used marijuana to treat symptoms of AIDS. In 1991, Peron organized Proposition P, the San Francisco medical marijuana initiative, which passed with 79% of the vote. Prop P did not have force of law, but was simply a resolution declaring the city’s support for medical marijuana. Santa Cruz and other cities followed suit with similar measures endorsing medical use of marijuana. The California legislature went on to approve medical marijuana bills by State Senator Milton Marks and Assemblyman John Vasconcellos, but they were vetoed by Governor Pete Wilson. Dennis Peron, suffering from his own personal ill health, worked closely with Dr. Tod Mikuriya to organize Proposition 215. Dr. Mikuriya had worked to decriminalize cannabis and declassify cannabis as a Schedule 1 controlled substance. Dr. Mikuriya spoke worldwide during the 1980s and 1990s in an effort to garner support for the medical use of cannabis. Threats to Dennis Peron would cause Peron to leave the United States following the passage of Proposition 215. Meanwhile, the federal government’s interagency Task Force, in conjunction with the resources of California’s Attorney General and California’s Medical Board, pursued any physician willing to recommend cannabis for medicinal reasons. More than 15 medical doctors would be forced to fight to keep their medical licenses. Frustrated by the Governor’s veto and by the Clinton administration’s ongoing refusal to allow medical marijuana, Peron decided to turn to the voters. In 1995, Peron, Gieringer and Imler organized Californians for Compassionate Use, a PAC dedicated to putting medical marijuana on the ballot. Californians for Compassionate Use tapped veteran activist Chris Conrad to organize a grassroots, volunteer-based petition drive to collect the more than 400,000 signatures required to qualify for the ballot. As the deadline approached and it was becoming clear the unpaid signature gatherers were not on pace to qualify, a group of philanthropists, including George Soros, Peter Lewis, and George Zimmer, stepped in to pay for professional petition circulators through the Santa Monica, CA based political consulting firm of Zimmerman & Markman. The opposition campaign to Proposition 215 included a wide variety of law enforcement, drug prevention groups, and elected officials, including three former Presidents and California Attorney General Dan Lungren. Ballot arguments against the proposition were signed by prominent prosecutors and law enforcement officials who claimed that, while appearing well-intentioned, it was an overly vague, bad law that, “allows unlimited quantities of marijuana to be grown anywhere … in backyards or near schoolyards without any regulations or restrictions,” and that it effectively legalized marijuana. The lead-up to the election saw a series of media-based attacks attempting to make the Yes on 215 Campaign a referendum on the controversial headquarters for the initiative, Dennis Peron’s San Francisco Cannabis Buyer’s Club. The very first of what would become more than 400 in the state, the SFCBC was a five-story full service medical marijuana club where qualified patients could in fact obtain marijuana for medical purposes (in various forms and qualities) in a retail setting. Far more than just a safe place for patients to consume, the club was a cultural center for many purposes. Dennis Peron would describe 1996 as a year when “the stars aligned for medical marijuana.” It was a presidential election year with a Democrat incumbent in a heavily Democratic state. The AIDS epidemic in the late 1980s to the early 1990s as well as recent studies regarding relief for chemotherapy patients were opening people’s minds to medical marijuana. On top of that, 60-year-old “Brownie” Mary Rathburn’s arrest for baking marijuana brownies made headlines garnering sympathy for medical marijuana. Proposition 215 passed with 55.6% support, setting off a chain reaction across North America of medical marijuana legislation. Canada now also has federal medical marijuana legislation and also operates a medical marijuana program through Health Canada (which also involves the issuance of ID cards, issuance of recommendations by physicians and maintenance of patient records), although not completely identical to that of the state of California. The issue has ALSO been to the floor of the US Congress in the form of the Hinchey-Rohrbacher Amendment, the Truth in Trials Act, and the States Right to Medical Marijuana Act. None of this legislation succeeded in the U.S. Congress. Exempts patients and defined caregivers who possess or cultivate marijuana recommended by a physician from criminal laws which otherwise prohibit possession or cultivation of marijuana. Declares that the measure is not to be construed to supersede prohibitions of conduct endangering others or to condone diversion of marijuana. 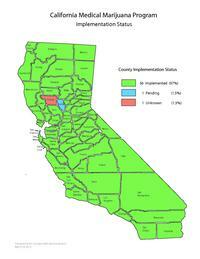 California counties accepting applications for medical marijuana as of March 2010. The initiative was partially implemented through the California Medical Marijuana Program created by Senate Bill 420. Both San Diego County and San Bernardino County initially refused to implement the program, but were rebuffed by the California Supreme Court. San Diego County has since proposed County regulations allowing 36 marijuana dispensaries to operate within its jurisdiction. Implementation across the State varied widely; urban areas in Northern California were the center of California’s fledgling marijuana market, while rural areas like Mendocino County, Santa Cruz, and Humboldt saw county-sanctioned gardens and patient registration programs. In 2009, Oakland became the first U.S city to put a tax on marijuana. Approved by voters by a margin of 80%, the measure puts an $18 tax on every $1,000 in gross marijuana sales. The tax is estimated to bring in $300,000 to $1,000,000 dollars annually. The California Medical Board prosecuted many California licensed physicians for recommending cannabis under Proposition 215, in an attempt to harm them and take away their licenses to practice medicine despite the clear language of Proposition 215. In a major case against Dr. Tod Mikuriya that went to trial before an Administrative Law Judge in 2002, the Judge decreed that physicians recommending medical cannabis must first do a full physical exam and review all medical tests and information pertinent to the patient despite anecdotal evidence that the patient’s self-medication was helpful or needed. The administrative law judge rendering the decision was a director of an organization actively trying to prevent the use of cannabis by persons who were prisoners or criminal defendants. Since the passage of Proposition 215, federal officials have tried various approaches – from criminal raids and prosecutions to civil injunctions to threatening to seize any property leased for medical cannabis uses – to thwart or slow the progress of medical cannabis in California. 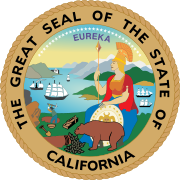 It was not until March 2009 that federal officials announced that they would no longer try to thwart medical marijuana distribution/use in California. Previously, under Presidents Bill Clinton and George W. Bush, the United States Department of Justice had taken drastically different approaches to medical cannabis in California. The DOJ under Clinton limited its enforcement to civil measures, such as seeking to revoke the federal prescription licenses of doctors who recommended cannabis or filing for civil injunctions against the major providers under Proposition 215. Author, activist, and grower “Ask Ed” Rosenthal (of High Times fame) was raided and charged by federal agents the same day DEA Administrator (and later Governor of Arkansas) Asa Hutchinson made a speech to the Commonwealth Club. With local permission, Rosenthal was cultivating marijuana “clones” (or cuttings) to be distributed to Bay Area medical marijuana clubs. The presiding judge, Charles Breyer, did not allow any testimony that would have substantiated what Rosenthal was doing was legal under state law, or that he was doing it with the sanction and knowledge of local officials. The only exception to this was when Judge Breyer allowed the defense to call then Oakland City Council member Nate Miley as a witness to testify that he had been to and inspected the warehouse where Rosenthal was cultivating. Such incidents (and the fact that Rosenthal was taking the case to trial while making no clear attempt to prove that he wasn’t growing the marijuana) led the jury to suspect they didn’t have all the facts. Nonetheless, the jury convicted Rosenthal on all counts. Once released from sequestering, nine of the twelve jurors held a press conference publicly recanting their verdict and asking for leniency in sentencing. The jurors even attended the sentencing hearing, sitting with the defendant they had just convicted. Judge Breyer departed from the 10 Year Mandatory Minimum Sentence and shocked prosecutors by sentencing Rosenthal to 1 day in prison, with credit for time served. Rosenthal would eventually win an appeal only to be retried and re-convicted. He is planning another appeal. On June 12, 2009, a federal court handed down a sentence to Charles Lynch for a raid that occurred at his Central California medical marijuana dispensary in 2007. The federal judge sentenced Lynch to a year and a day in prison. Despite statements as a Senator, where Obama called for marijuana decriminalization, promises as a presidential candidate where he stated that marijuana laws needed to be reconsidered and explicit statements as president that he would respect state medical marijuana laws, Barack Obama has presided over 1.7 million arrests for nonviolent drug offenses, over half of these being marijuana arrests, and a nationwide campaign of raiding medical marijuana dispensaries. Dozens of dispensaries have been closed with their owners and workers facing jail and prison sentences. California has been especially hard hit, with numerous dispensary closures and arrests. In what may be a shift in federal enforcement attitude, especially in those states where it’s legal or decriminalized, President Obama made clear, in January 2014 that he feels cannabis is not as dangerous as alcohol. In addition, marijuana smoking is also restricted by location. It may not be smoked wherever smoking is prohibited by law, within 1000 feet of a school, recreation center, or youth center, on a school bus, or in a moving vehicle or boat. According to Cal. Health and Safety Code Section 1362.785 Medical Marijuana use is not required to be accommodated inside the workplace or in any type of correctional facilities or during work hours. It is important to note that under the Fair Employment and Housing Act, an employer may terminate an employee who tests positive for marijuana use. The U.S. Supreme Court has twice upheld the ability of federal officials to enforce federal law which conflicts with state law. In 2001, the Oakland Cannabis Buyers’ Cooperative claimed “medical necessity” as their legal justification for violating the federal Controlled Substances Act (CSA). The U.S. Supreme Court struck down this argument, holding there could be no claim of medical necessity because in the CSA Congress had specifically negated this defense by unambiguously classifying marijuana as a substance which can have no authorized medical use. The 2005 case of Gonzales v. Raich challenged the CSA by claiming that simple cultivation of marijuana plants fell outside of Congress’s power to regulate economic activity through its Commerce Clause powers. While initially successful in the Ninth Circuit, the U.S. Supreme Court struck down this argument. The Court found that personal cultivation of marijuana fell within the scope of federal regulation by employing an expansive definition of economic activity, a definition described as “breathtaking” by Justice O’Connor in her dissent because it “threatens to sweep all of productive human activity into federal regulatory reach.” However, in the majority opinion Justice Stevens expressed, though denying them support at that time, that he hoped “the voices of voters allied with these respondents may one day be heard in the halls of Congress.” Justice O’Connor in her dissenting opinion also stated that “a single courageous State may, if its citizens choose, serve as a laboratory; and try novel social and economic experiments,” and that “[t]his case exemplifies the role of states as laboratories.” Justice O’Connor disagreed with the majority’s opinion because sanctioning this application of Congress’s CSA “extinguishes that experiment, without any proof that the personal cultivation, possession, and use of marijuana for medicinal purposes, if economic activity in the first place, has a substantial effect on interstate commerce and is therefore an appropriate subject of federal regulation.” Despite the dissent’s favorable attitude toward state medical marijuana policies, federal law still controls, and for medical marijuana to be considered legal, change must be effected through legislation by Congress. The U.S. Supreme court on May 18, 2009, refused to hear San Diego’s case against California, where it claimed it wasn’t required to issue state mandated medical marijuana IDs, because the federal ban on marijuana trumped California’s law. ^ “Welcome to WAMM.org | The Wo/Men’s Alliance for Medical Marijuana”. Wamm.org. Archived from the original on 2011-04-29. Retrieved 2011-04-20. ^ Sloman, Larry (1998). Reefer Madness: A History of Marijuana. New York: St. Martin’s Griffin. p. 409. ISBN 0-312-19523-0. ^ “Medical Pot Laws Don’t Blow Smoke”. cannabisnews.com. Archived from the original on 2011-04-22. Retrieved 2011-04-20. Medical Use of Marijuana. Initiative Statute] “Archived copy”. Archived from the original on 2008-01-31. Retrieved 2008-01-21. CS1 maint: Archived copy as title (link). ^ “Official Election Returns” (PDF). Archived from the original (PDF) on 2011-05-17. Retrieved 2011-04-20. ^ City of Garden Grove v. Superior Court of Orange County , 68 Cal. Rptr. 3d 656, pg. 2 (Cal. Ct. App. 2007) (“However, because Kha had a doctor’s approval to use marijuana for medical reasons, the prosecutor dismissed the drug charge he was facing. The trial court then granted Kha’s motion for return of property and ordered the Garden Grove Police Department to give him back his marijuana.”). ^ City of Garden Grove v. Superior Court of Orange County , 68 Cal. Rptr. 3d 656, pg. 26 (Cal. Ct. App. 2007). ^ “DEA pot raids go on; Obama opposes”. The Washington Times. February 5, 2009. Archived from the original on September 27, 2013. Retrieved September 21, 2013. ^ Johnston, David; Neil A. Lewis (March 18, 2009). “Obama Administration to Stop Raids on Medical Marijuana Dispensers”. The New York Times. Archived from the original on July 19, 2012. Retrieved September 21, 2013. ^ “Topics : Medical Marijuana Raids – Reason.com”. Reason.com. Archived from the original on 2012-10-20. ^ Remnick, David (20 January 2014). “On and Off the Road with Barack Obama”. Archived from the original on 18 April 2018 – via www.newyorker.com. ^ Brown, Edmond G. “Guidelines for the Security and Non-Diversion of Marijuana grown for Medical Use” (PDF). Archived (PDF) from the original on 2011-04-22. Retrieved 2011-04-20. ^ United States v. Oakland Cannabis Buyers’ Coop., 532 U.S. 483 (2001). ^ Gonzales v. Raich, 545 U.S. 1 (2005) (Justice O’Connor dissenting) at 49. ^ Gonzales v. Raich, 545 U.S. 1 (2005), at 33. ^ Gonzales v. Raich, 545 U.S. 1 (2005) (Justice O’Connor dissenting) at 42-43. ^ “U.S. Supreme Court Upholds State Medical Marijuana Laws | ChattahBox News Blog”. Chattahbox.com. 2009-05-18. Archived from the original on 2009-05-20. Retrieved 2011-04-20.